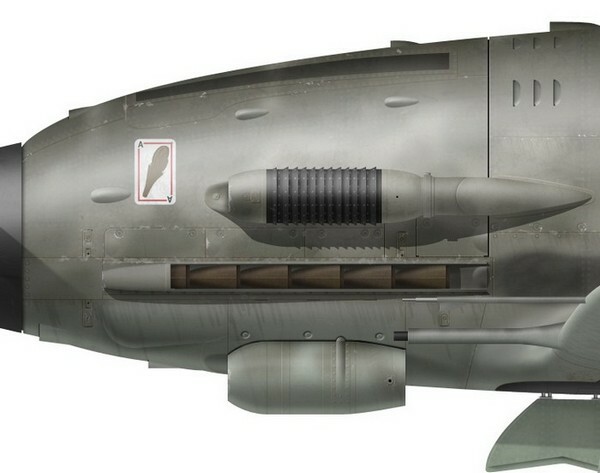 Regarded by many as the finest Italian fighter of World War II, the MC.205 Veltro (Greyhound) was an evolution of the Folgore and proved a match to the best front-line American fighters such as the P-38 Lightning, P-47 Thunderbolt and P-51 Mustang. Luigi Gorrini was the most succesful Veltro pilot, having achieved 14 of his 19 victories on the type. He flew this aircraft with 1a Squadriglia “Asso di bastoni”, 1° Grupo Caccia, in 1944.